Welcome to the home page of the Crawfordsville City Council. The Council is the legislative branch of local City government and is responsible for adopting budgets, levying taxes, and authorizing financial appropriations to fund City operations, as well as enacting, repealing, or amending local laws. The Council also appoints members to certain boards and commissions that serve the community in various areas. The Council meets twice a month, the first and second Monday of each month (subject to change, please view the council calendar for updates). The first Monday is Pre-Council and Committee night, the second Monday is the regular Council Meeting. To see the actual dates please visit the Public Meetings Calendar and search for City Council. Biddle was elected in November of 2011 and then re-elected in 2015, is a graduate of Waynetown High School and has been a local businessman since 1971. Biddle is President of the Council, chairman of the Fiscal Affairs Committee, serves on the Traffic, Parking & Safety Committee and is the liaison to the Airport Authority Board and Planning Department, and a member of the Montgomery County Central Communications Board. Biddle is married to Karen (Galloway) Biddle and they have three children and eight grandchildren. He can be contacted at abiddle@crawfordsville-in.gov or 765-366-5542. Reidy was chosen in January of 2013 by Democratic precinct committeemen to replace Ray Kirtley. He was then elected in November of 2015. Reidy earned his Bachelor's of Science at the University of Dayton, an M.S. at IU, and a M.A. at Purdue. Reidy retired after 32 years of work on the Admissions staff for Wabash College. Reidy has lived in Crawfordsville for over 40 years and has served on the AWL Board of Directors, the Montgomery County Public Defenders Committee, and as a member of the League of Women Voters. On the City Council, Reidy serves on the Fiscal Affairs, Ordinances & Petitions and committees. He is the liaison for the Police Department. Reidy is married to his wife Meegan and has two adult children along with two grandchildren. He can be contacted at reidy@wabash.edu. Appointed in late 2017 to fill a vacancy. 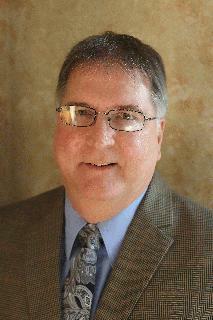 Lucas serves on the Ordinance & Petitions and Annexation committees. He is the liaison to CEL&P. He can be contacted at jlucas@crawfordsville-in.gov. Chosen in October of 2013 by Republicans precinct committeemen to fill a vacancy, Warren was elected in November of 2015. Warren, a graduate of North Montgomery high school, has lived in Montgomery County all of his life. He has worked in construction as a contractor, for Akers Construction services, and currently works in contractor sales at Town n' Country Homecenter. On the council, Warren is the chairman of the Annexation Committee, and serves on the Fiscal Affairs and Traffic, Parking & Safety committees. He is the liaison to IWA. He is married to Leslie and they have three daughters, three son-in-laws, and eight grandchildren. In his leisure time, Warren enjoys playing golf. He can be contacted at cwarren@crawfordsville-in.gov or 765-366-0003. Elected in November of 2011 and re-elected in 2015, Guard is graduate of Indiana University's Kelley School of Business and the owner of Vita Green Lawn, LLC, a lawn fertilization company. He is the chairman of the Ordinances & Petitions Committee and also serves on the Annexation Committee. He is the liaison to the Central Garage. Guard is married to his wife Stacy and has two kids. Guard enjoys playing golf with his wife and hunting with his kids, but also has a passion for fishing. He can be contacted at dguard@crawfordsville-in.gov or 765-230-0636. Elected in November of 2011 and re-elected in 2015, Lowe moved to the area with her family after Hurricane Camille hit the Gulf Coast in 1970. Lowe is the chairwoman of the Traffic, Parking & Safety Committee, and serves on the Fiscal Affairs and Traffic Committee. She is the liaison to Park & Rec Department and the Fire Department. Lowe is married to her high school sweetheart, Scott, and has three children. Lowe spends many evenings at the Parks and Recreation Center, but loves to spend her time outdoors, especially at Milligan Park. She can be contacted at jennifer@mccf-in.org or 765-366-9729. Appointed in late 2017 to fill a vacancy. Hamilton serves on the Ordinance & Petitions and the Traffic, Parking and Safety committees and is the liaison to to Waste Waste. He can be contacted at shamilton@crawfordsville-in.gov or at 765-361-0093.